Buffalo NY native, Ali Critelli was raised in the arts. From local theatre production, studying dance, and covering Aretha Franklin with her dad's band, Ali is no stranger to a live audience. Now as an adult, Ali has found her passion behind a microphone, singing her heart out. She is a powerhouse, soulful vocalist who has established herself as one of the most in-demand singers in the 716. 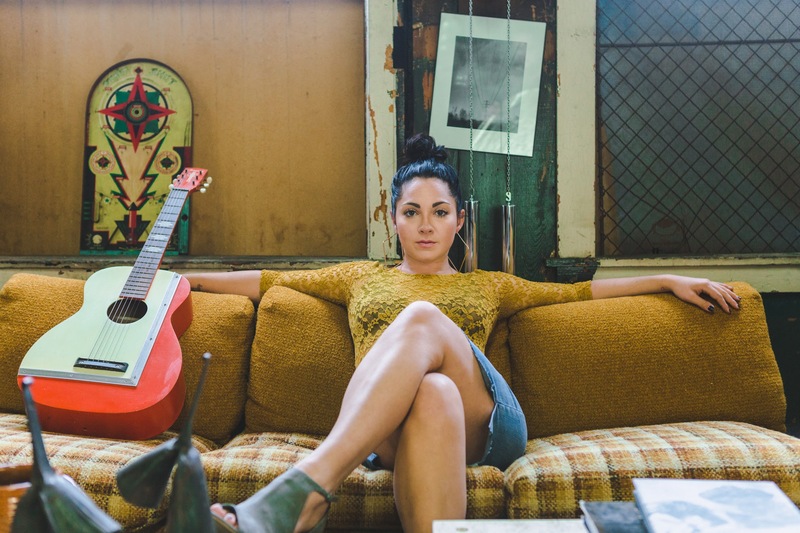 After performing professionally for an entire decade and fronting her own band, Ali left the Queen City to carry out her dreams of singing and songwriting in Music City. Ali has a passion for writing lyrics with an intention to make you feel something, and music you can't shake. Her eclectic musical taste lends itself to her desire to write songs that are both impactful and lasting. "I grew up listening to everything from Michael Jackson, Chicago, Whitney Houston, the Police, to Aretha Franklin. I don't like to put my music in a box because my musical tastes aren't one genre." Her sultry but commanding timbre, combined with live instrumentation and glossy electronic production delivers an organic and refreshing new Pop/R&B sound. Her most current single, "Daydreaming" is a light-hearted, flirtatious track featuring live percussion, keyboard, acoustic guitar, electronic drums and electronic bass. Ali likes to combine live instruments in her music because it reminds her of a time when music was not electronically driven. "I like to be able to play my music live with a band and not have to rely on tracks all the time." After releasing a few singles, Ali has finally settled into who she is as an artist and is eager to share her debut EP titled, "Feels." The album is a collection of five songs that are centered around the theme of Love. You can expect to hear Jazz, R&B, and Pop flavors paired with lyrics that will send you on an elevated, emotional ride.